The Peas and the Pomegranate panels have made their way up the hill to Mike’s back yard. I still haven’t seen them in place up there (car troubles – I don’t want to drive too far from home – I’m afraid I won’t make it back! ), but Mike says they look great. 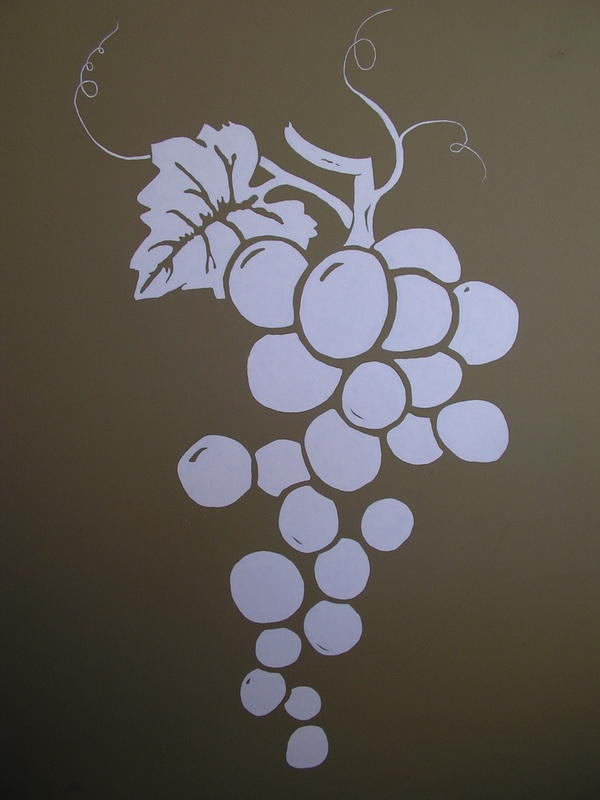 Here’s a picture of the Grapes panel. My original drawing was for a block print I made a few years ago. For this project I made a copy of that original and added the leaf and an extra curlicue. Love those curlicues! Next Next post: A delay in the action..